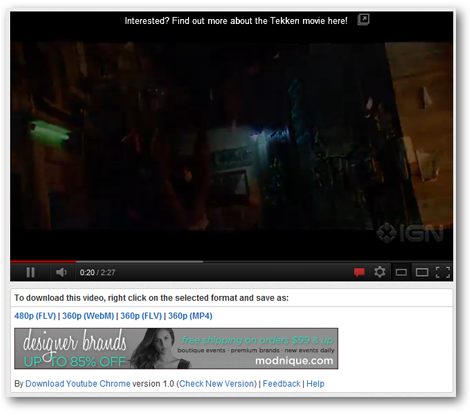 After the extension is installed in your chrome broswer, you can easily download any Youtube videos on Youtube by clicking the download links under the videos as the screenshot shows on left. Due to Google dislike people downloading Youtube videos and not allowing installing Chrome extensions from outside of Chrome Web Store, please following the installation guide below to install the extension. Note: next time you open Chrome, it might popsup a message to ask you to disable the extension, simply click Cancel to ignore it if you want to keep the extension. Click here to watch a step by step tutorial video made by a fan.